Reflecting on Practice » What is RoP? 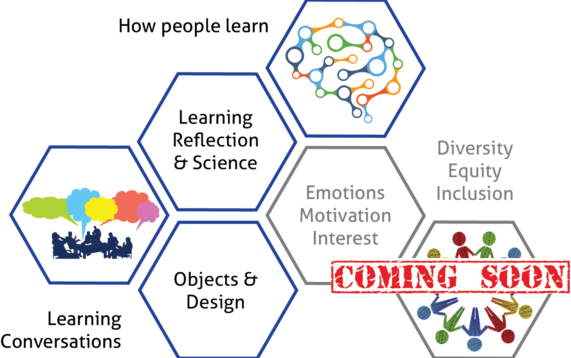 Reflecting on Practice is a professional learning program meticulously designed to build participants’ understanding of, experiences with, and integration of best practices in informal science, technology, engineering and mathematics (STEM) learning environments. It is devised for institutions to implement with their own staff and volunteers, at their own pace. This program is not intended as a blueprint for how to teach. Reflecting on Practice is an opportunity for practitioners of all levels of experience to learn from one another, develop a shared language to support learning, and exchange ideas on their practice. To build shared language and understanding among professionals by relating research to practice. To engage practitioners in habits of reflection, including observing their own teaching, as a means to develop their practice and make it public. To nurture a tradition of continued professional learning among participants, and thereby build a professional learning community. The program is modular. Each module focuses on a topic relevant and critical to the informal educators’ practice. Each module is comprised of 3 to 4 sessions that are each about 2.5 hours in duration. Core Content provides essential concepts, activities and discussions about learning and teaching in informal environments. 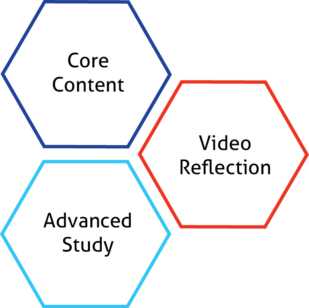 Advanced Study builds on the Core Content within the module, with additional ideas and activities to deepen understanding. Wonder who leads the community?